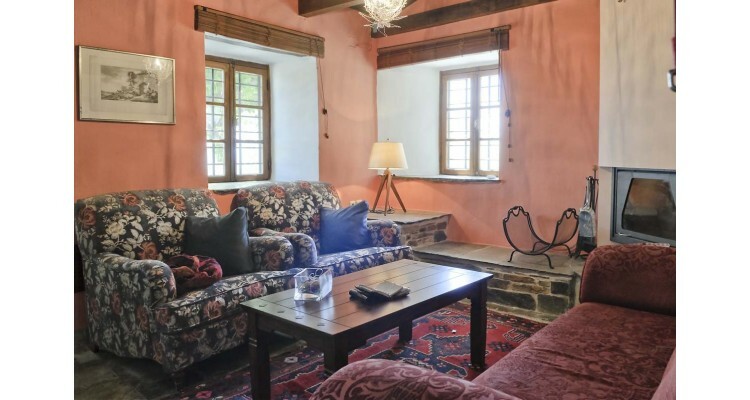 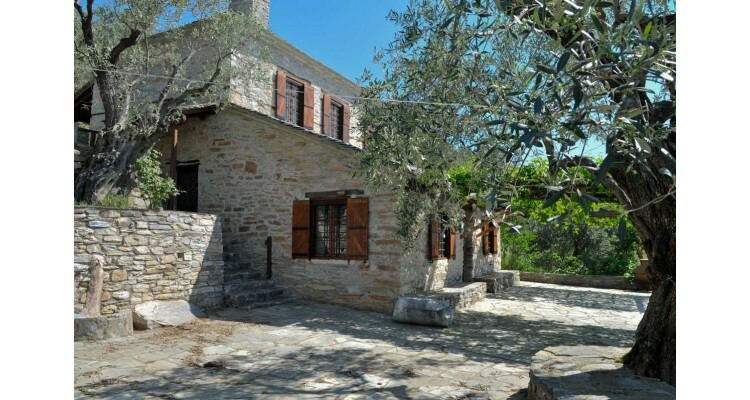 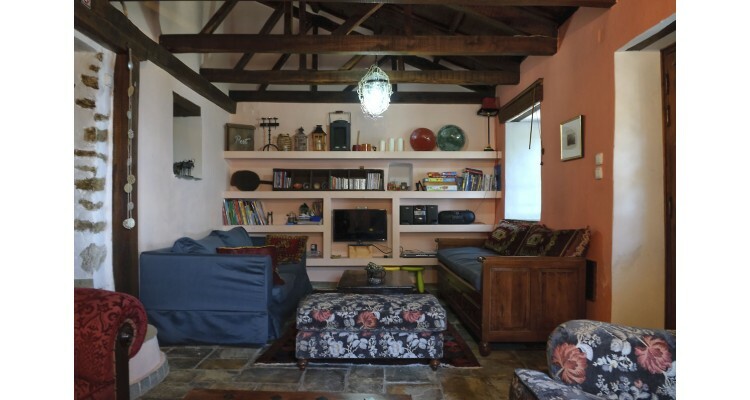 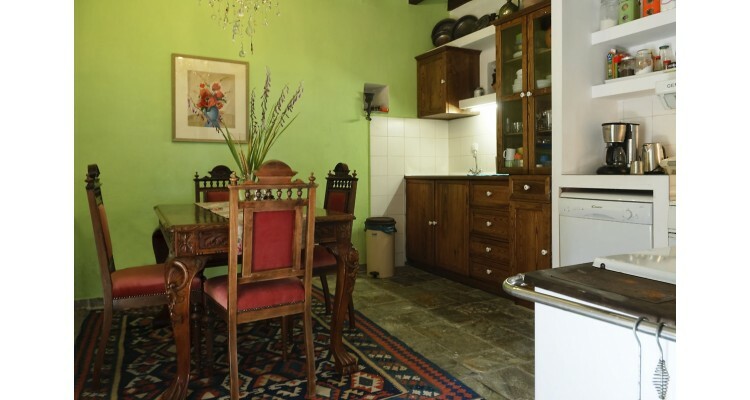 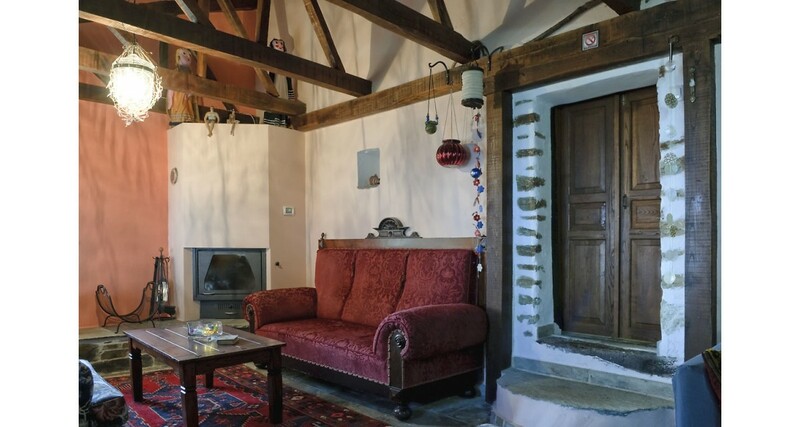 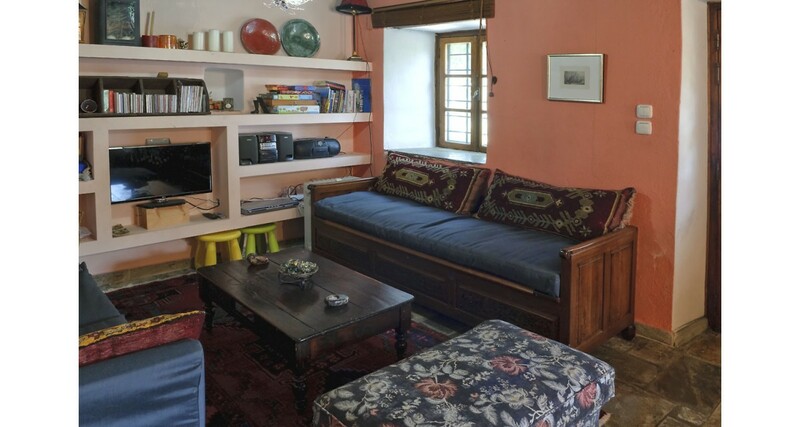 Two-storey fully furnished and equipped stone traditional house, 90sqm, for rent for all year round holidays. 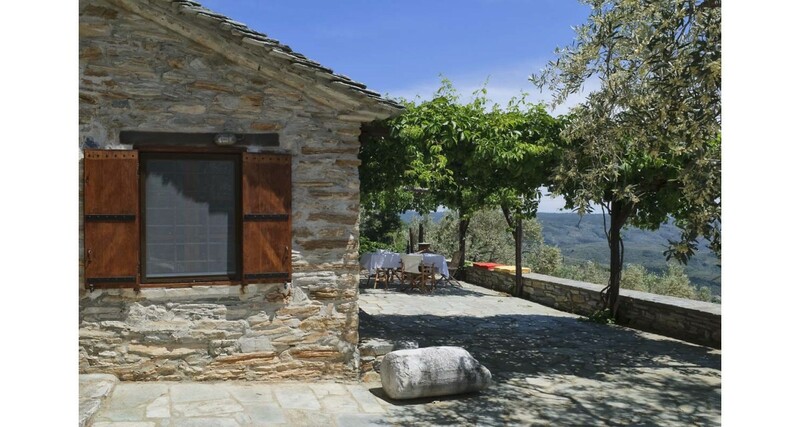 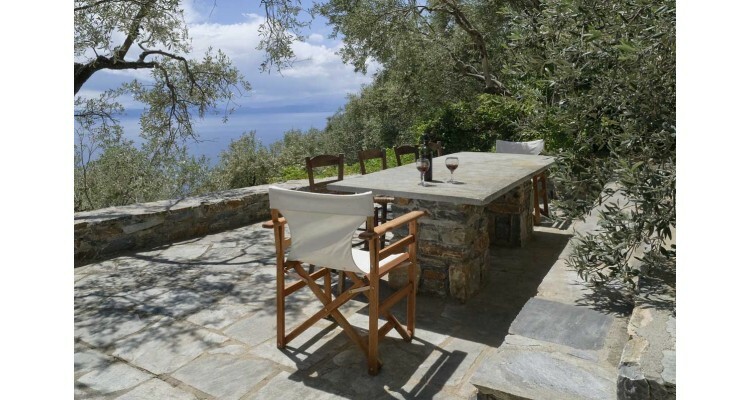 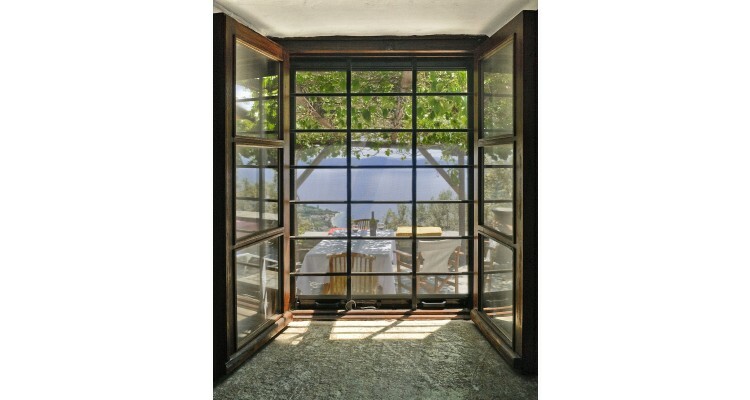 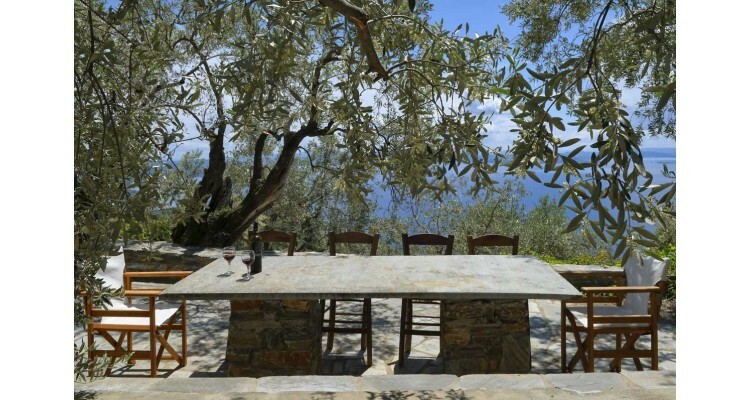 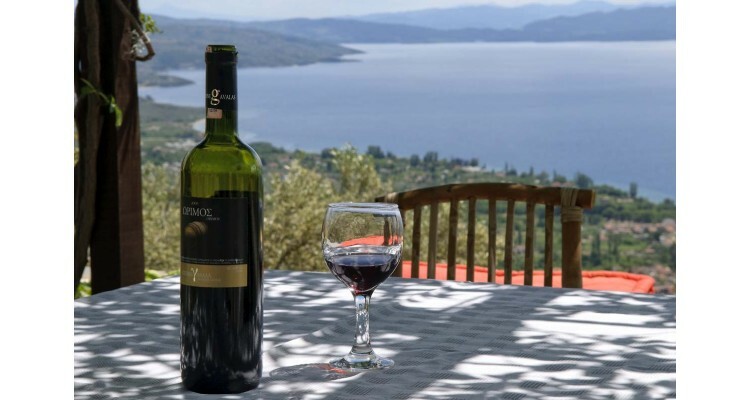 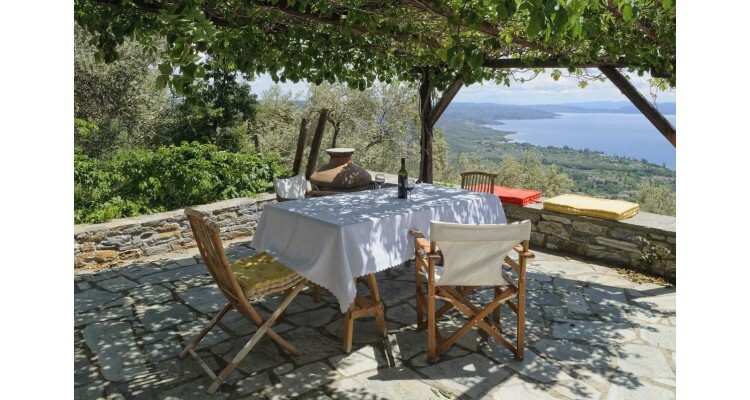 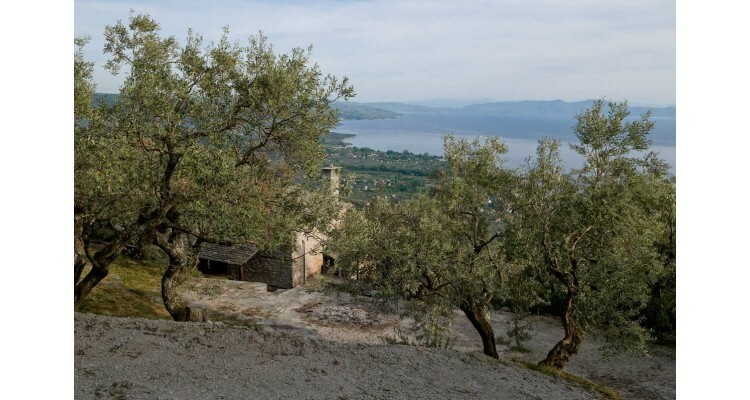 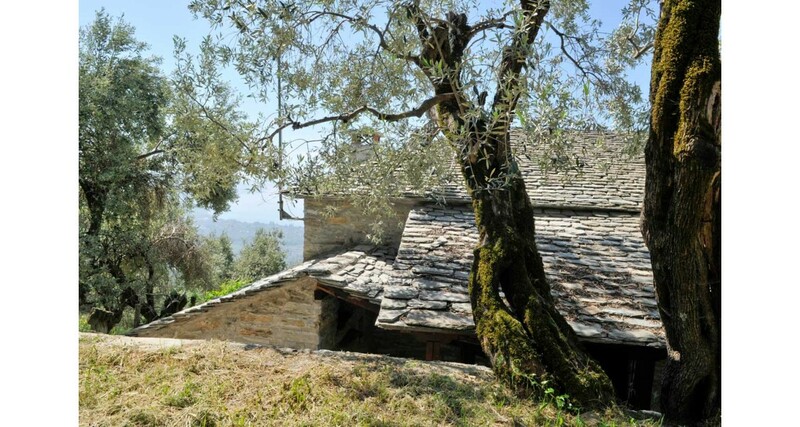 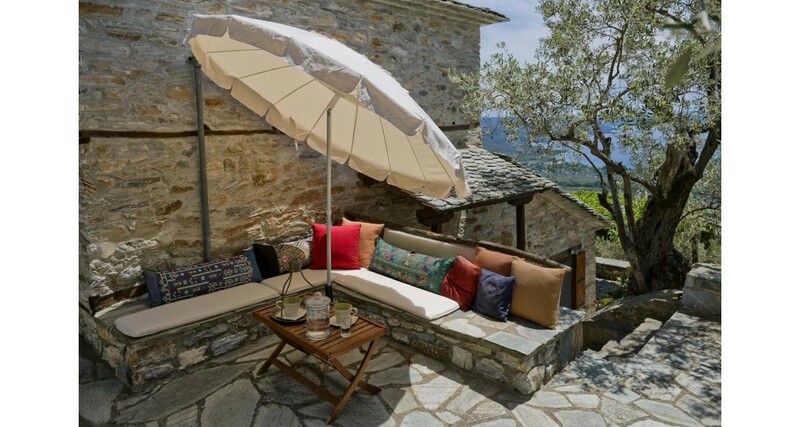 The house is located in Pinakates of Pelion, 30 km from Volos city far away, in an olive grove of 4.000sqm and can accommodate up to 4 people. 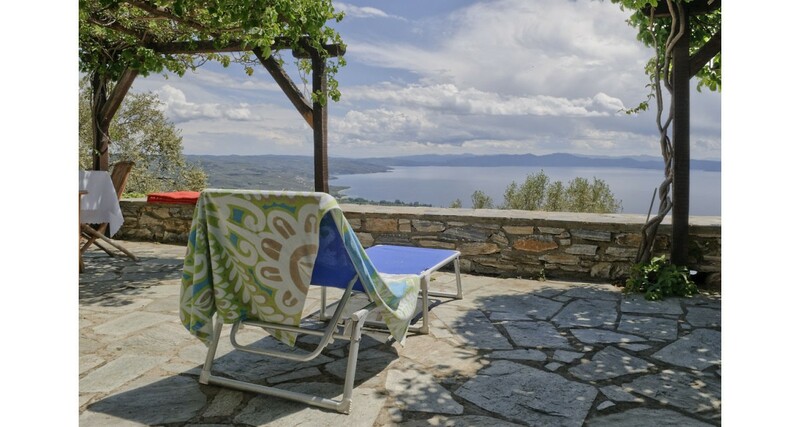 It has an amazing panoramic view to Pagasitikos Gulf and it is ideal for those who love the beauty of nature…combining mountain and sea! 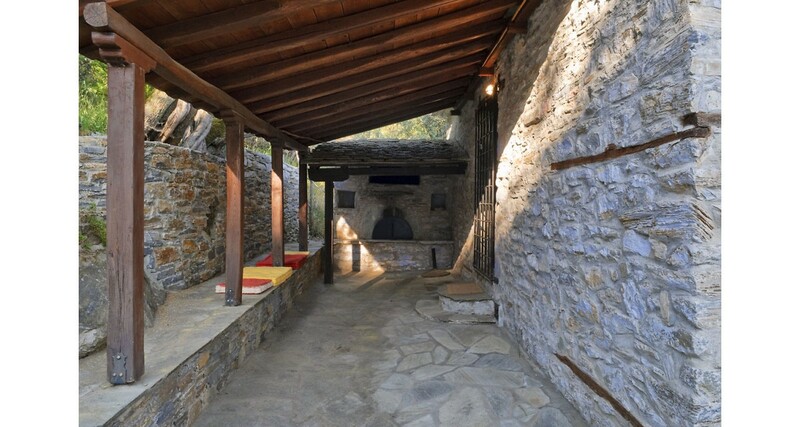 The house has 2 floors and is made of stone and chestnut wood. 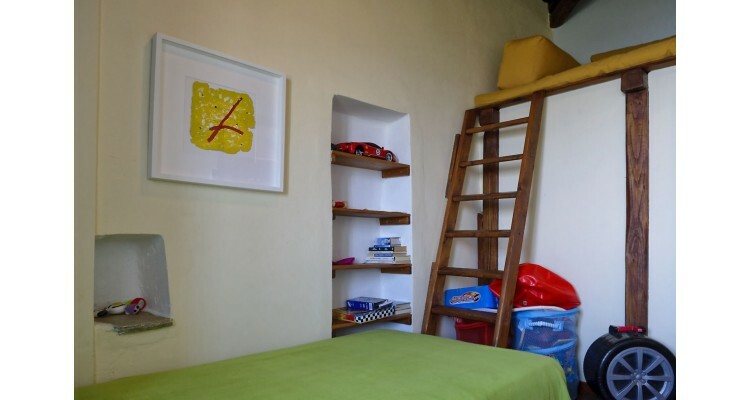 The ground floor has 2 levels, 40sqm each. 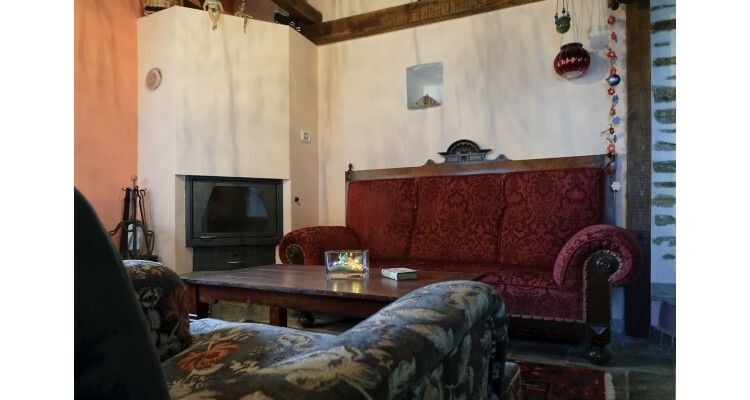 On the 1st level is the living room viewing to the sea. 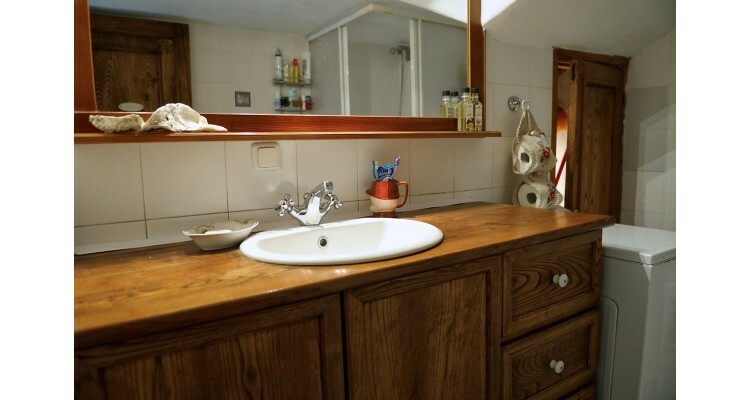 The 2nd level includes the kitchen-dining room and the WC- bathroom. 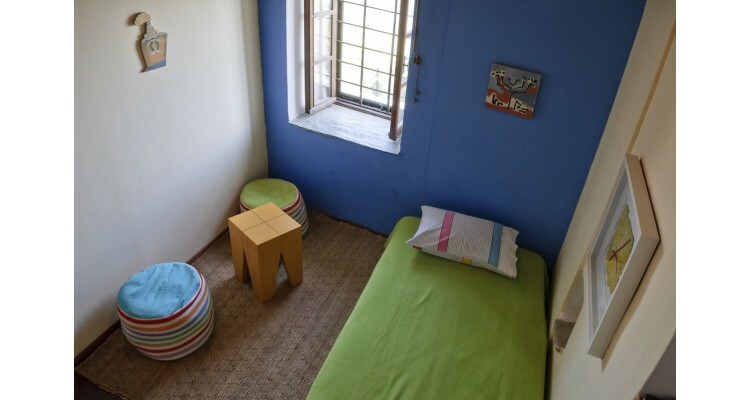 The 2nd floor includes 2 small bedrooms 8sqm each, one with double bed, and one with sofa-double bed and with a small living room between them which has a sofa-double bed too. All rooms have an amazing view to the sea. There are also: an indoor fireplace, a storage room, a large outdoor stone oven, shed, outdoor stone garden furniture and pergolas. A cement road leads to a parking place, next to the house, inside the property. 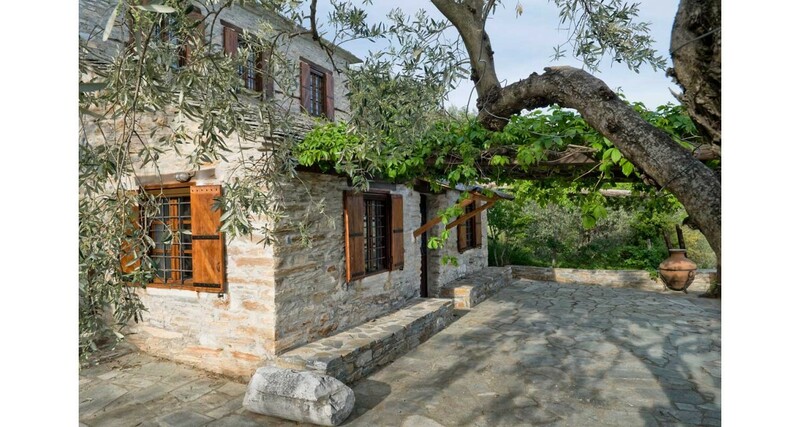 In the neighborhood, but at a distance from each other, there are several (approximately 20) restored stone houses belonging to Greeks, Germans and English. 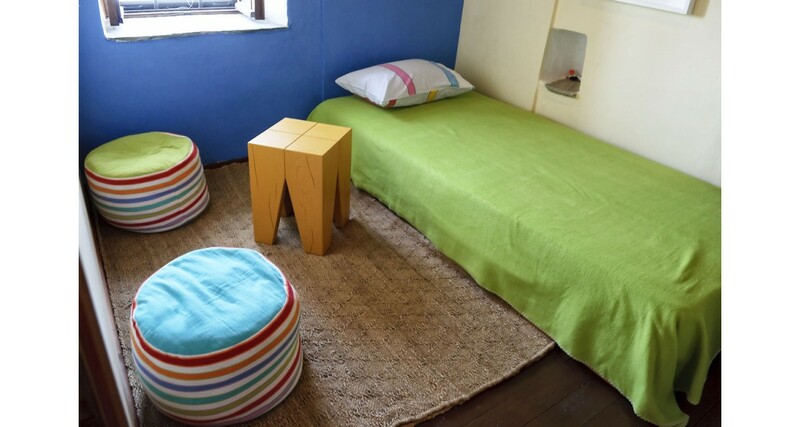 The house is ideal for people looking for calm and relaxing. 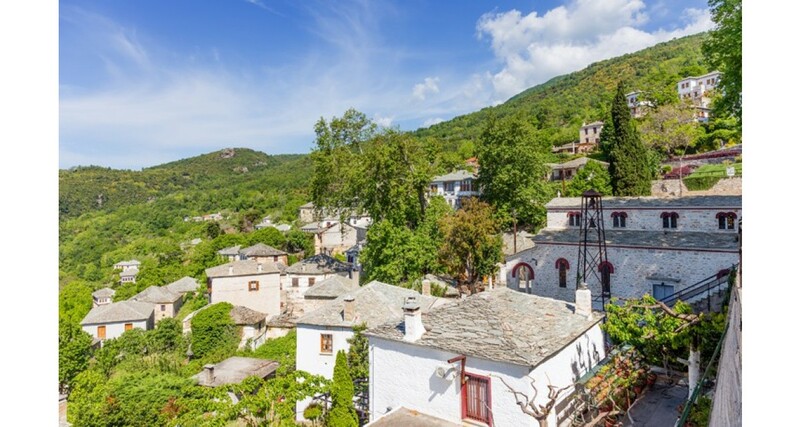 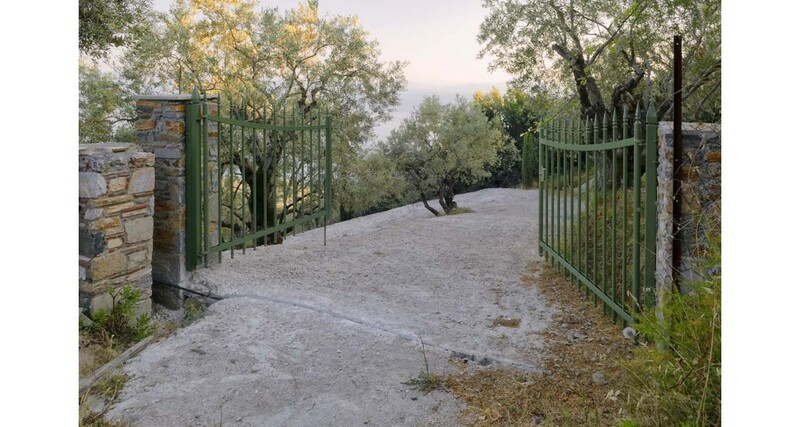 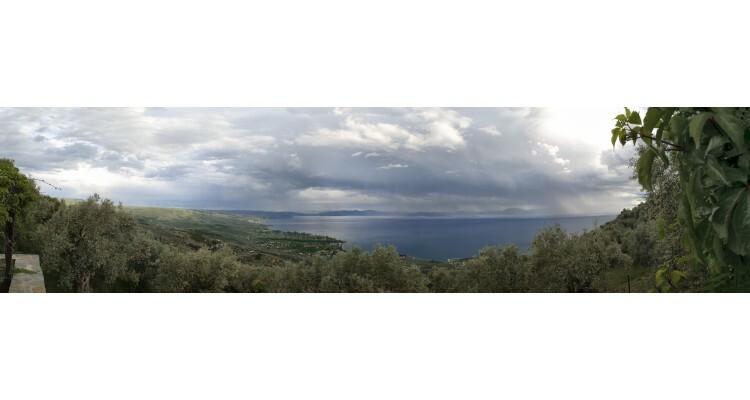 It is connected via a paved road with the villages of Agios Georgios Nilias (6 km), Pinakates (6 km), Vizitsa (10 km), Milies (15 km) etc… A dirt road connects the house with the village of Kala Nera (7 km) and an asphalt road leads to the village of Agios Georgios and towards the beaches of Pagasitikos (in approximately 25 minutes). 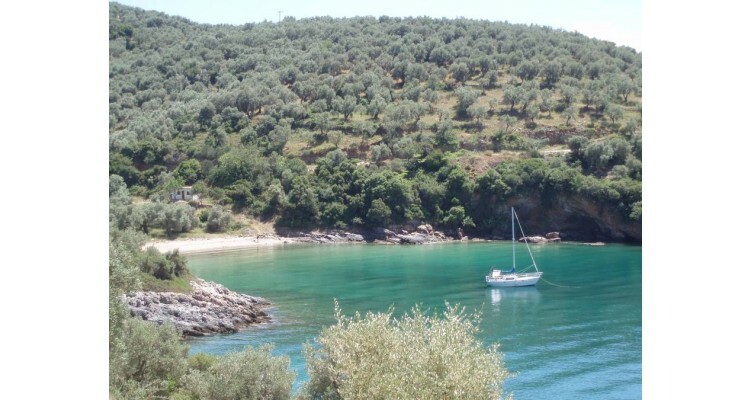 The best nearest beach is Kalamaki (excellent beach, about 35 minutes by car). 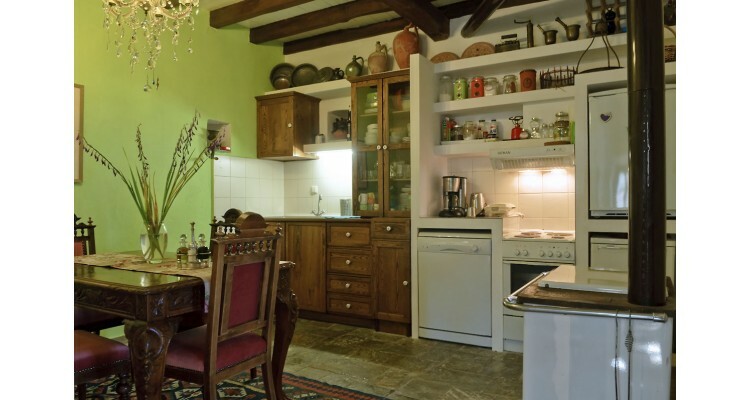 You can find supermarkets and all the necessary shops & facilities at the near villages. 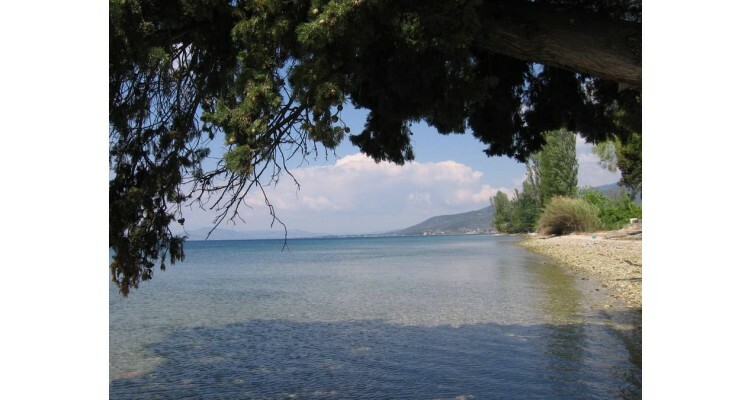 Guests can come by airplane from Thessaloniki or from Athens to Volos. 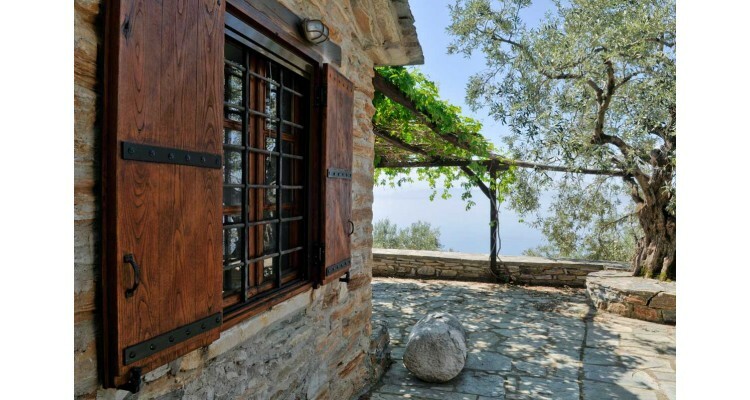 A private car is necessary for accessing the house and for any other transportation during your stay. There is the possibility of using taxis in consultation with taxi drivers of the area. 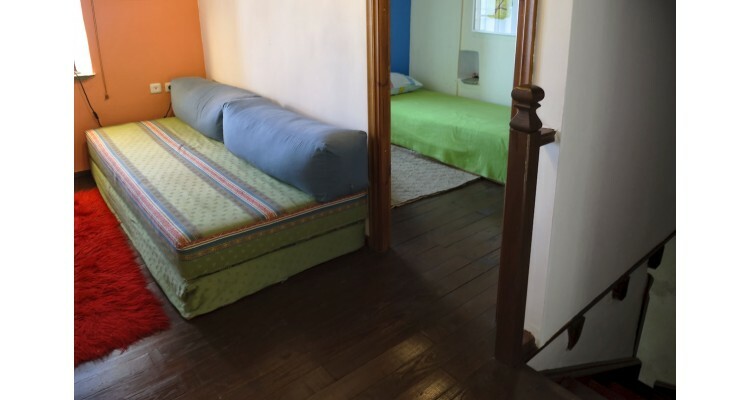 The housekeeper resides in Pinakates, and he will always be available to help you for whatever you need. 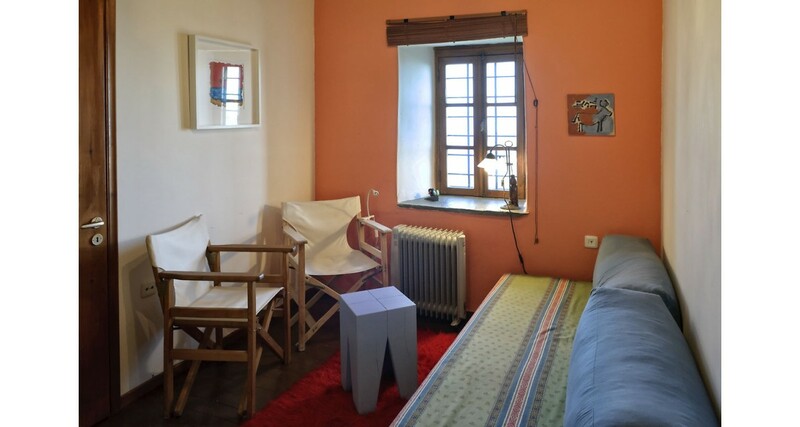 Cleaning services can be provided at an extra charge of € 50 at a time. 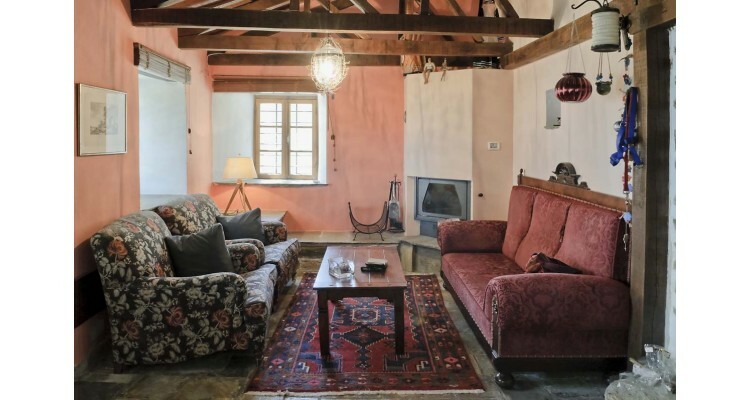 For more details, for availability or for booking please contact the house owner via e-mail despoinamavromoustakou@gmail.com or call to the following telephone numbers: +30 2310321560, +30 6942560942.